You are currently browsing the tag archive for the ‘The Catcher in the Rye’ tag. I had ambitions of ploughing through several books on the long air-journey home to Ireland. In the end a combination of tiredness and Etihad‘s in-flight entertainment service (“OMG – The Warrior’s Way…just try to stop me watching this!”) resulted in my reading only three books. Terry Pratchett’s Carpe Jugulum, the twenty-third Discworld novel. This one is about vampires and in the author’s inimitable style, becomes an essay on the limits of toleration. Stephen King’s The Mist, a novella I have been meaning to read ever since I first flew to Australia and saw Frank Darabont‘s film adaptation (in-flight entertainment again). I was impressed by the film and thankfully enjoyed the book as well. Although I still don’t like King’s protagonists. He writes them with a series of flaws that are meant to express a sense of honesty I guess, but David Drayton just seems like yet another sleazy alcoholic to me. Finally J.D. Salinger‘s The Catcher in the Rye. I remember reading this book when I was 12, on the bus from Rathcool village into Dublin city centre at 7am. It was dark and freezing cold. The material of my school uniform was pathetically thin and my coat did not stretch far enough to keep me warm (darn long legs). There I was sitting on the bus seat with my hands hiding the cover – because I thought The Catcher in the Rye was salacious! 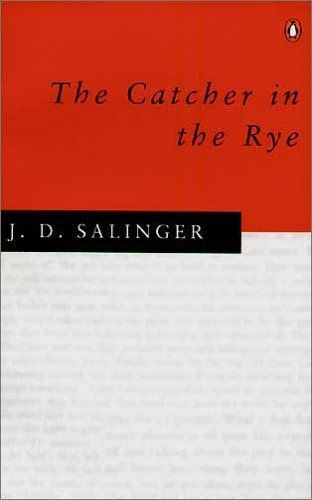 Reading it now my twelve-year-old self seems so naieve and yet I can still detect in Salinger’s prose this brilliant sense of iconoclasm, masked by the occasionally petulant thoughts of Holden Caufield. I was also going to read Combined and Uneven Apocalypse by Evan Calder Williams, but at that stage my brain had gone to mush. It is a fascinating premise for a book – a political reading of the use of ‘apocalypses‘ (my thanks to Buffy the Vampire Slayer) in film. Never fear, a review is coming. I will write up more direct reviews of the three books in my usual manner in the next few days. This is just to let you all know I made it to Ireland and am happily sipping tea on a cold morning watching my dog snore in her sleep.